It's spring and new food trucks are popping up around Boston. 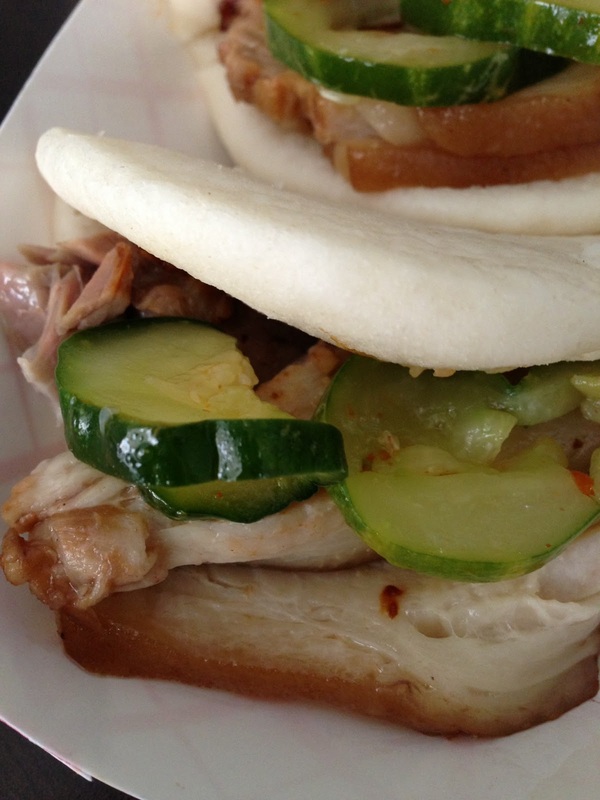 Monday was the start of the new spring schedule for food trucks in Boston and there were a number of new trucks on the list. I've updated my Twitter list to include the newcomers and some trucks that I'm just learning about myself. 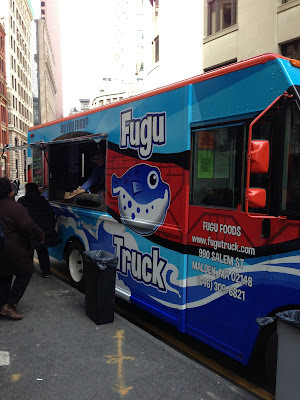 Fugu Truck (@fugutruck) is one of the trucks I was most looking forward to trying. Any menu with Asian street food and pork belly will definitely catch my eye. 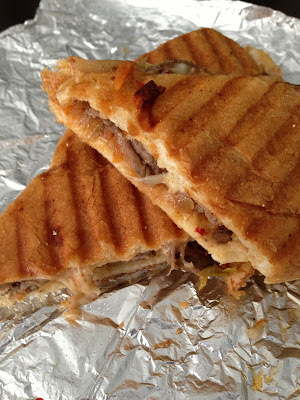 Securing a weekly spot near my office (Milk & Kilby streets) made it a lot easier for me to try them out. The tricky part was getting out of my office to grab a bite. By the time I got there a number of things had sold out (glad they're having a successful first week). I look forward to coming weeks when I can get there in time to try the other items on the menu. I wasn't going to have the panini - not a lot of dairy in Asian food - but it was just the right amount of cheese and oddly worked with the Asian ingredients. I highly recommend it. Other trucks I'm looking forward to trying? A4 Truck (@A4truck) the mobile counterpart to Kendall Square's Area Four. And I always love a good street taco and there are a number of trucks that I haven't had a chance to try including The Taco Truck (@TheTacoTruck), Taco Party (@TacoPartyTruck), and Baja Taco Truck (@BajaTacoTruck). If you want to find your favorite truck, check out the city's food truck schedule.